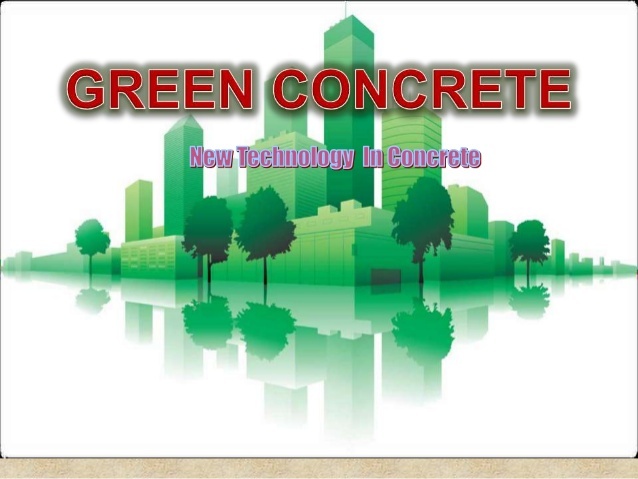 Geopolymer concrete, or green concrete, is part of a movement to create construction materials that have a reduced impact on the environment. It is made from a combination of an inorganic polymer and 25 to 100 percent industrial waste. The light weight spongy concrete, used for roof slab and precast units in partitions for heat and sound insulation, prepared by mixing aluminium in the cement concrete is called a light weight concrete.